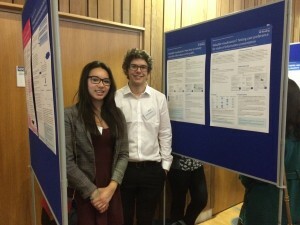 Congratulations go to Part 3 students, Mel Towriss and Peter Loveland (pictured above) who, over the summer, took part in the University’s Undergraduate Research Opportunity Programme (UROP) and worked with Centre for Information Design Research. Their project examined how on-screen text format affected people’s reading speed and comprehension, as well as people’s views on which text formats were most appropriate for different purposes. The texts used for the study dealt with employers’ responsibilities to run a payroll and were drawn from the GOV.UK web site. Mel and Peter found strong agreement among study participants regarding the text formats; for example, what might be appropriate for beginner or professional readers of the information. Reading times for the different formats did not differ significantly across format but there were differences in comprehension of the information they presented. 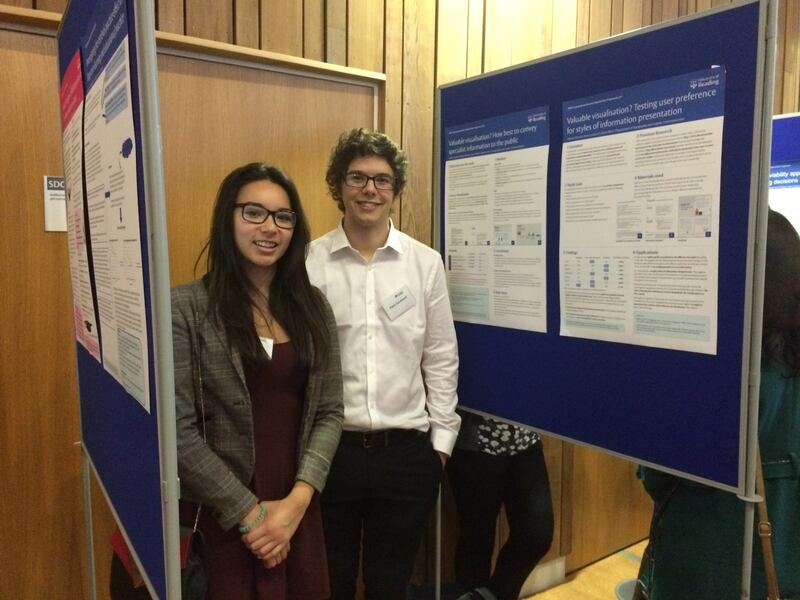 Mel and Peter were runners up in a research poster competition for all students taking part in the UROP scheme and will be taking their poster to the 2015 British Conference of Undergraduate Research.